NativeEnergy helped farmers in Minnesota and South Dakota install revenue-generating wind turbines. 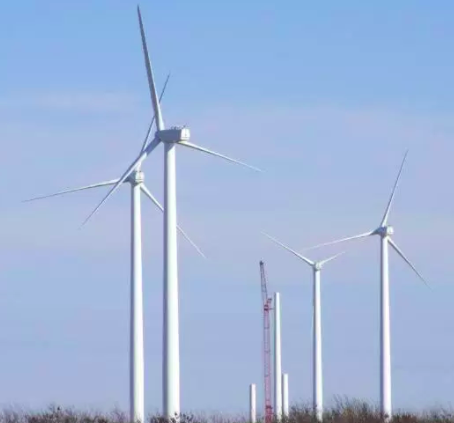 NativeEnergy works closely with wind developers to support the sale and installation of farmer-owned and community-based 40 kW and larger distributed wind turbines. With upfront funding from NativeEnergy reducing turbine costs to an acceptable level, these turbines help farmers reduce their long-term electricity costs and help stabilize the electric grid with distributed, small-scale power generation. NativeEnergy helped build 26 turbines from 2006-2009. This project is a collaboration between the Midwestern farmers, NativeEnergy, and the turbine vendors. This project’s emissions reductions are calculated using the Climate Neutral Network’s methodology. A random sample of the turbines’ electricity output is third-party verified each year.